AAKS in Ghana and the United Nations High Commissioner for Refugees joined forces for a home décor project titled ‘Weaving for Change’. The collaboration to produce a range of beautifully handcrafted lamps and light fittings reflects the preservation of a time honoured Malian weaving technique of the Tuareg community from Northern Mali, who are living as refugees in Burkina Faso. Behind every handcrafted lamp you will find a cultural identity of the Tuareg. 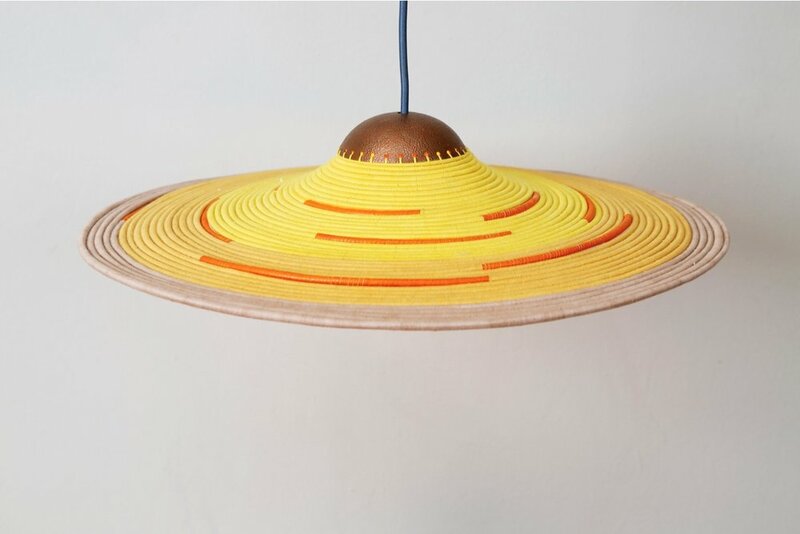 The artisans use a needle and thread to wrap hand-dyed strands of organic yarns and leather around bunches of straw to create tightly coiled, durable lampshades in an impressive range of patterns and colours. The result is a beautiful range of lamps in kaleidoscopic yellows, tone down reds, reds, blues and rustic oranges combined with natural straw and hints of vegetable tan leather, bronze and copper metal finishing. The collaboration of textures and tones is crucial to the cohesion of the overall design ideas. 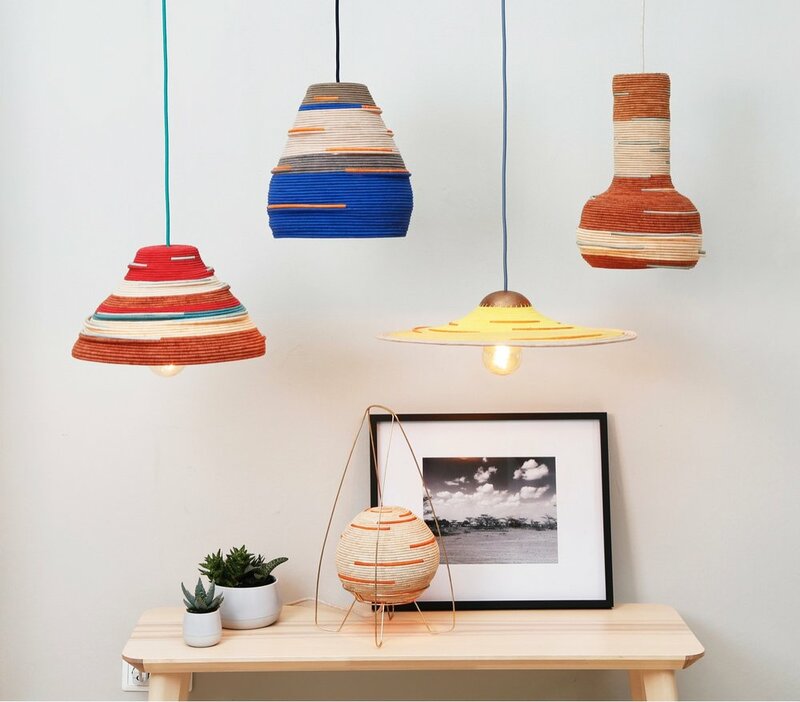 Depending on the size and shape, each lamp can take one weaver anywhere from 2 weeks to 1 month to make! The collection seeks to offer open and semi closed shades with direct light source. When lit, the handcrafted crocheted surface gives the entire shade an effervescent glow which captures the perfect equilibrium between light and shade.